watch out – scary rabbit is here! Aww! 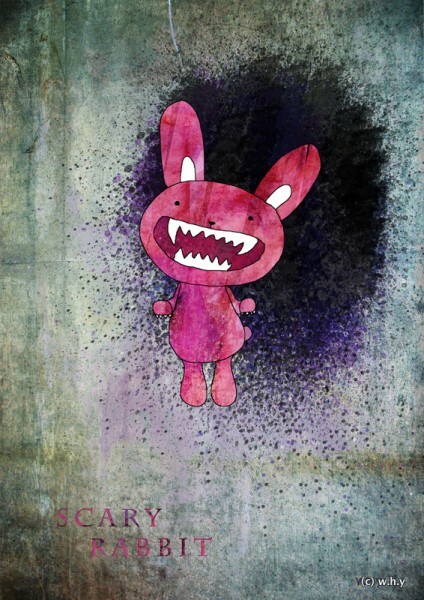 Scary rabbit is cute. Probably less so if he bit me, though. Maybe I’ll just stand back over here. Nice texture with the pinks.